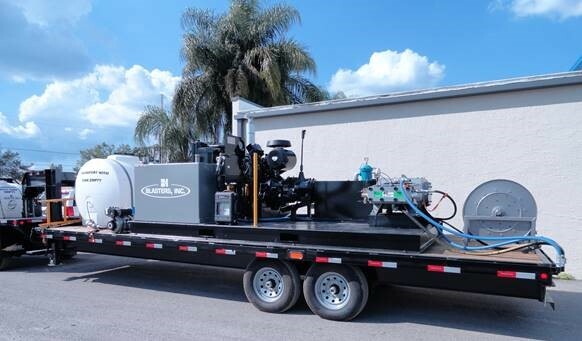 Hydrostatic Test Unit - Blasters, Inc.
Blasters, Inc. was commissioned to build a fleet of hydrostatic test units with multiple capabilities in the field including high-pressure testing and cleaning. The equipment will be used to test oil field pipelines and BOPs at 15,000PSI and 20,000PSI without making any changes in the fluid end of the pump. By simply changing gears on the transmission, the unit is ready for testing. No additional changes are needed within the pump or engine. Call Blasters, Inc for more information @ 813-985-4500.